Example: 'yourdomain.com' , 'yourdomain.biz , 'yourdomain.net', 'yourdomain.od"
Want a website? Personalized email? How about an easy, affordable way to promote your business, class reunion or favorite hobby? 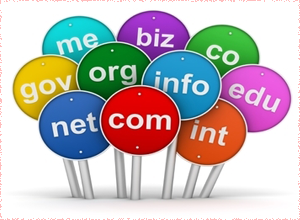 A unique, memorable dot com domain name is the first step to doing all this and more. It's your 'address' on the World Wide Web, and along with your website, serves as your 'online identity,' reflecting your purpose and personality. Friends, family, customers - anyone in the world with Internet access - can type your domain name into their Web browser and visit your website. Domain name registrations do not auto-renew upon expiration. Renewal must be explicitly requested through the current renewal process prior to the expiration date. Domain name registrations will be deleted 30 days after the expiration date. Deleted domain names may enter a Redemption Grace Period status. The Redemption Grace Period provides an opportunity to restore the domain name and retain ownership. Restoration from the Redemption Grace Period requires a fee of $125.0 in addition to the renewal fee and must be paid prior to a domain name being restored from Redemption Grace Period.